Nine months into the pontificate of Pope Francis, there is a certain subset of orthodox Catholics in the blogosphere who think he is going in the wrong direction. Because Pope Francis gives a certain emphasis that doesn't mirror their preferences, the response is to view him as one or more of the following: naive, out of touch, not knowledgeable on the topic or even heretical. Some of them are polite in their misgivings. Some seem to treat him like an "idiot uncle" who needs to be endured. But what they're not doing is treating him like the Pope. Many bloggers in this subset have expressed concern with the Pope's teachings, making comments asserting that what he says goes against Church teaching by either poorly expressing himself or by lack of understanding. When the Pope speaks on moral theology in relation to political or economic issues, the assumption is he said something wrong. Nobody seems to ask whether their own understanding of what he said or of Church teaching is faulty. In other words, this subset of bloggers tends to consider themselves to be more knowledgeable than the Pope on these issues. I really can't follow these bloggers. They are going in a direction conscience forbids me to go. The first is I have a belief that God is active in His Church and will not permit it to teach error in matters of faith and morals binding on the faithful. The ordinary teachings of the Pope still require the assent of the faithful. Now, is it reasonable to think that when we have the obligation to assent, the Holy Spirit will permit the Pope to teach that which is harmful to the soul of the faithful? I can't buy into that thinking. It means that unless the Pope declares everything he does ex cathedra, there must always be doubt about what he teaches... we can never know whether a teaching we must assent to is true unless it bears this mark. That's spiritual chaos and something that contradicts Christ when He says, in Matt 28:20b, "And behold, I am with you always, until the end of the age." Even if Pope Francis turned out to be like Pope John XXII, with a faulty understanding, God protects His vicar from teaching error in a binding way. And that brings me to the second reason: I don't believe Pope Francis is a Pope like John XXII. I believe he is a holy man, teaching in full accord with what the Church has always taught. Reading his insights from before he became Pope, in books like Only Love Can Save Us, Open Mind Faithful Heart and On Heaven and Earth show what he believes and speaks on is not at all going against what the Church had said previously. His recent encyclical and exhortation are solid Catholic teaching as well. While sloppy journalism has misrepresented him at times, that misrepresentation is not his fault and it is our obligation to seek the true meaning and not rely on the misinterpretation. 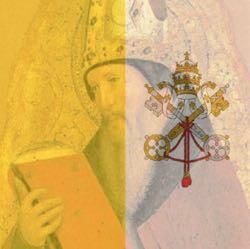 I believe that whatever troubles may come to our Church, we cannot accept as valid any group which holds that they are right and the Pope is wrong in matters which require assent. When the Pope speaks on moral obligations towards economic and political actions, we do not do right by saying the Pope doesn't really understand economics or politics. We do right by heeding the moral obligations he warns us about. Deciding we can ignore the Pope is wrong, whether the disobedience is liberal or conservative in nature. A good rule of thumb is, if the Pope is reported as saying something that sounds like it goes against Church teaching, the safe bet is that the error is with the reporter or reader -- not the Pope.